The Spectra QM95 Laser Distance Meter is a fast, high accuracy laser distance meter designed for indoor and outdoor use. With the longest range of all the Quick Measure distance meters - up to 650 ft. - this laser distance meter is the best in it's class. The large backlit LCD screen makes it easy to see in all conditions and makes it easy to measure in difficult to reach areas. 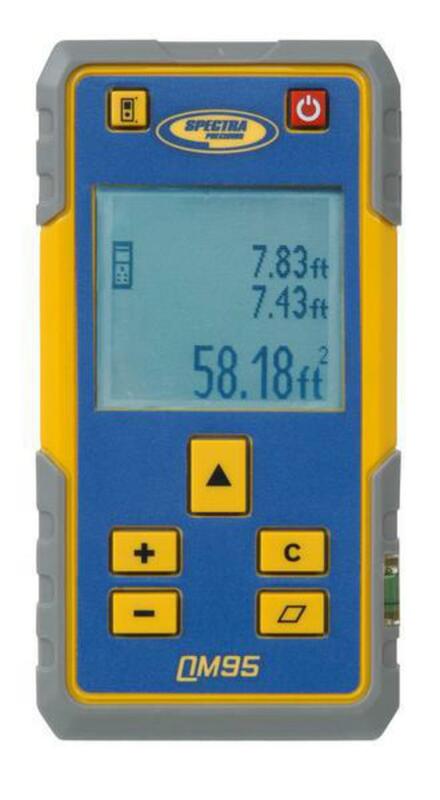 Designed specifically for the tough construction environment with it's generous use of rubber mold and clever electronic isolation make it one of the most robust distance meters available. Rugged and designed to withstand drops up to 5 ft. Measuring range up to 650 ft.